Vor einiger Zeit habe ich eine aufregende mail vom The Sketchbook Project erhalten: Sie haben mir mitgeteilt, dass eine meiner Collagen vom Sketchbook Project 2013 in ihrem Buch “The Sketchbook Project World Tour” abgedruckt wird. 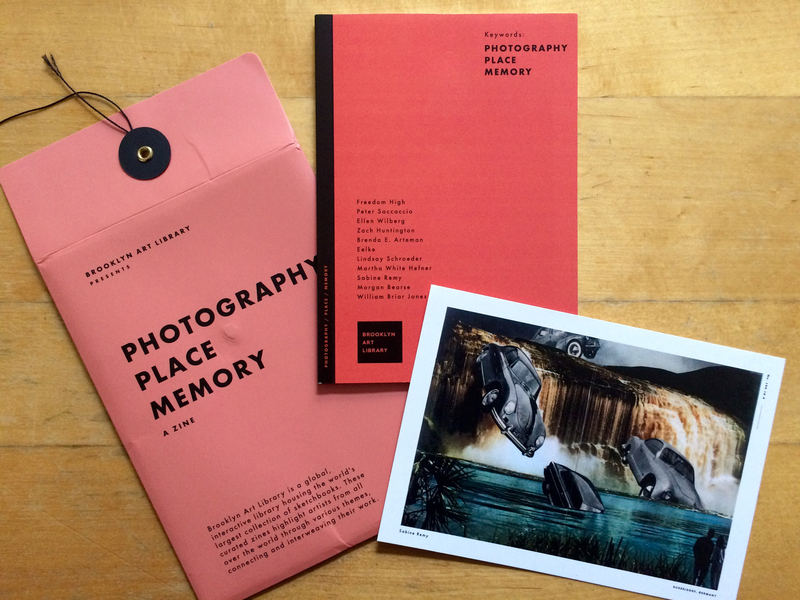 Publiziert durch Princeton Architectural Press und kuratiert von The Sketchbook Project Mitarbeitern Sara Elands Peterman und Steven Peterman, zeigt dieses Buch Arbeiten aus der Sketchbook-Sammlung von Teilnehmern rund um den Globus. Ich bin so begeistert, dass einer meiner Collagen in dieser Veröffentlichung berücksichtigt wurde! 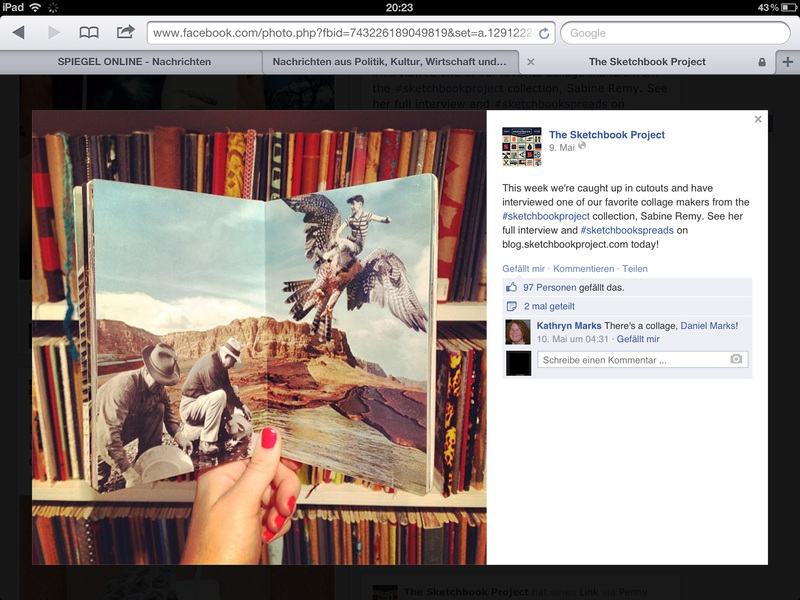 Vielen Dank an das Sketchbook Project Team! Hier kann man es bestellen. 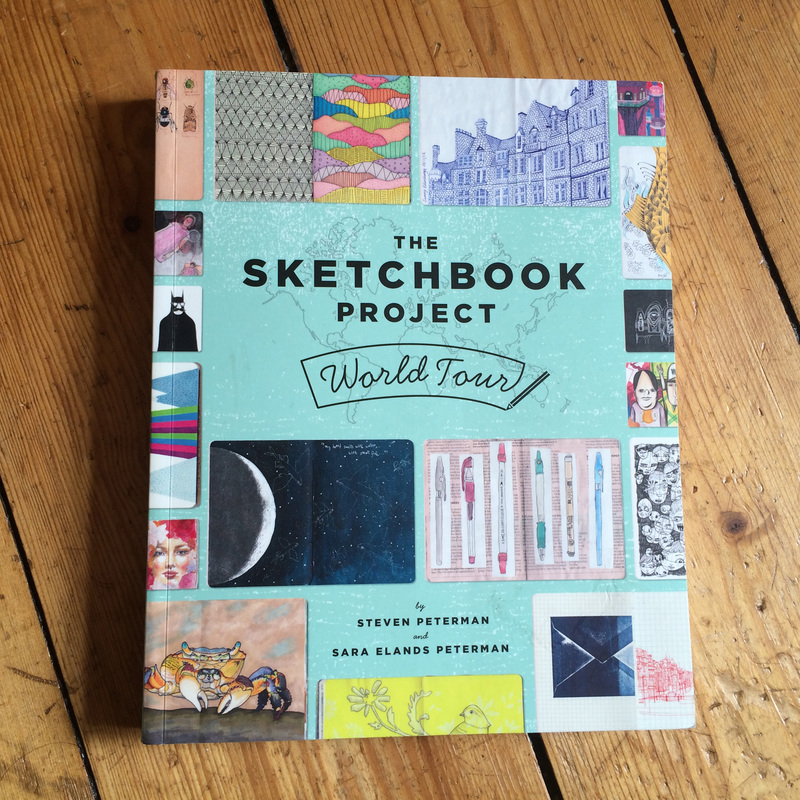 A while ago I received some exciting news from The Sketchbook Project: They let me know that part of my Sketchbook Project submission 2013 is being included in their publication, The Sketchbook Project World Tour! 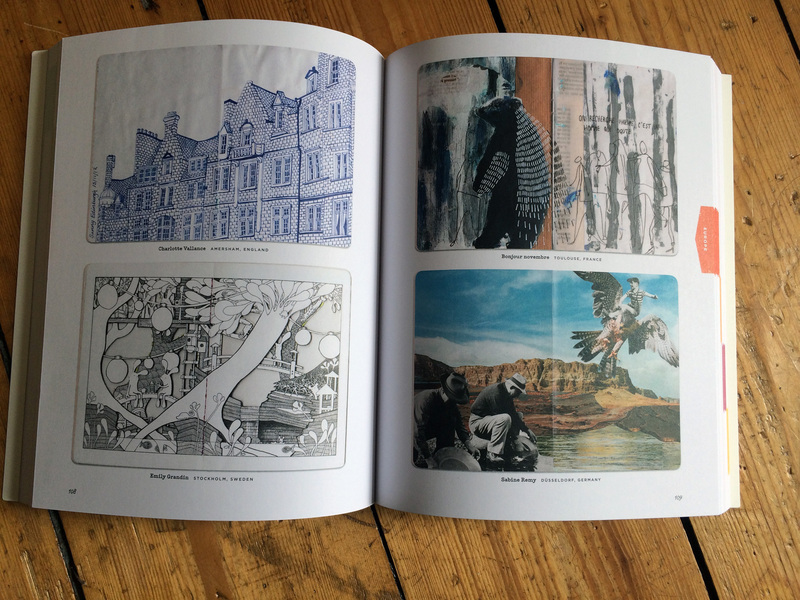 Published through Princeton Architectural Press and curated by The Sketchbook Project’s own Sara Elands Peterman and Steven Peterman, this book showcases artwork from sketchbooks in their collection by participants around the globe. 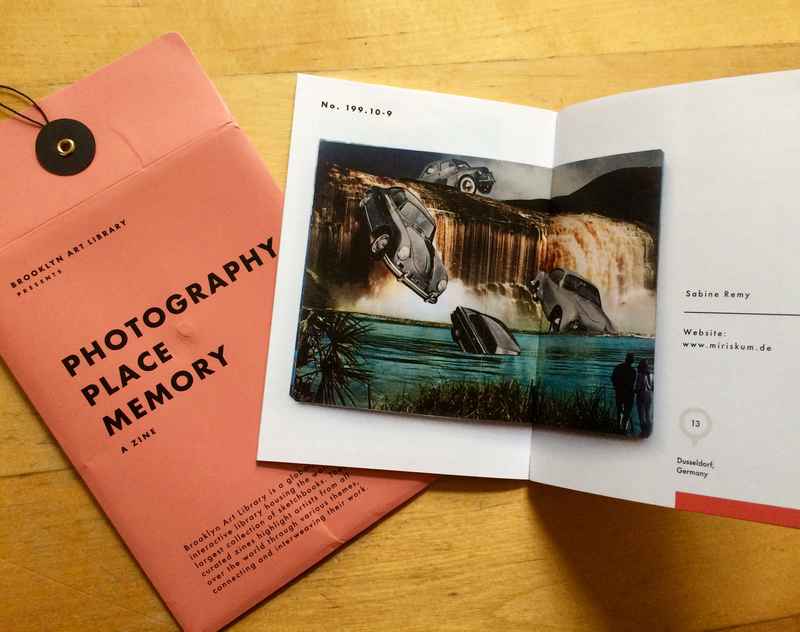 I am so excited to have my contribution to The Sketchbook Project shared in this new release. You can order it here. 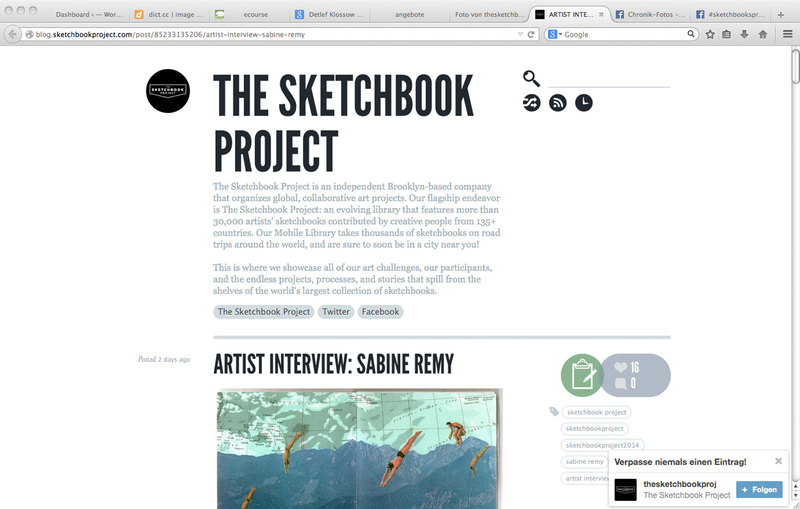 Thanks for inviting me to do an interview for the Sketchbook Project! 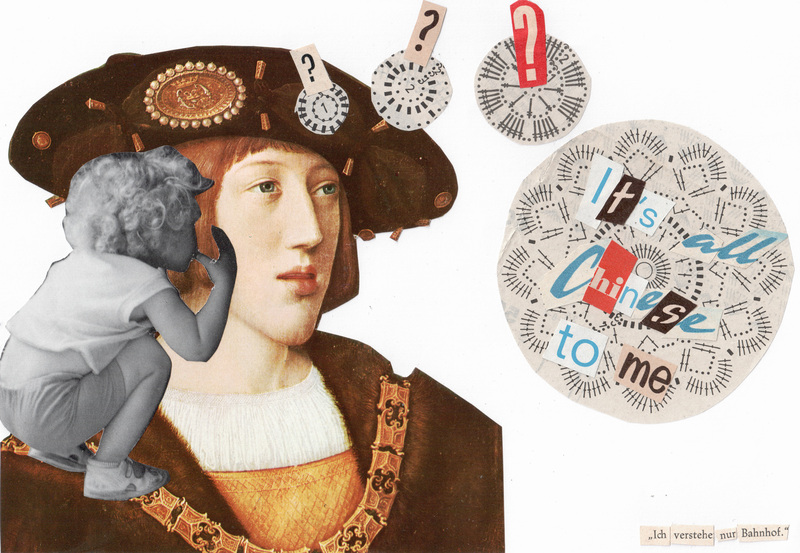 You can read the whole interview and see all collages I have done for the Sketchbook here. Vielen Dank für die Einladung zum Interview für das Sketchbook Project. Das ganze Interview sowie alle Collagen, die ich für das Sketchbook gemacht habe, sind hier zu sehen. A nice video from the Art House co-op. 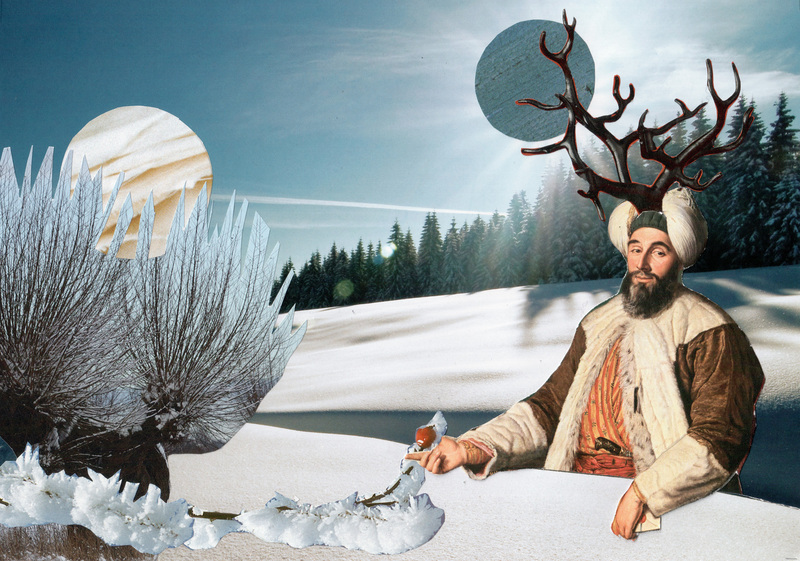 Do you see my Sketchbook “I cut, therefore I am”? If not you can find it here. 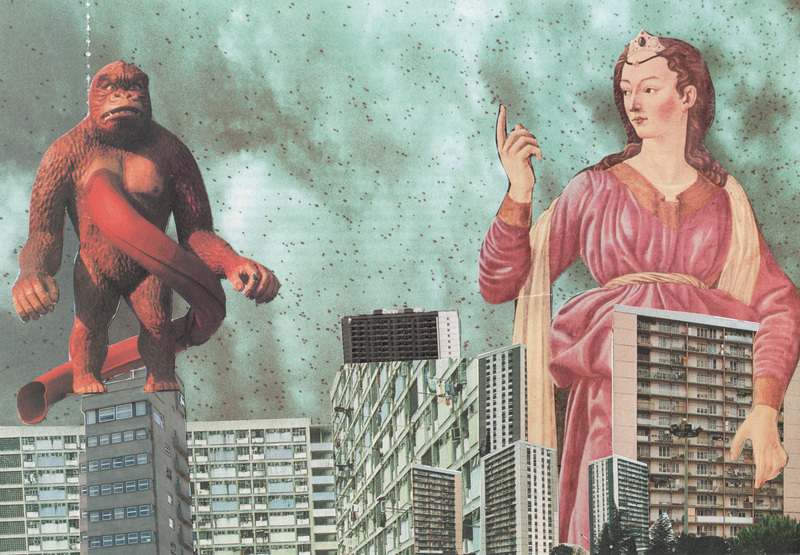 Exhibition-Tour from the Sketchbook Project 2013 starts today! My Sketchbook has already been cataloged into the Brooklyn Art Library in New York and can be found on the shelves with the call number of 199.10-9. 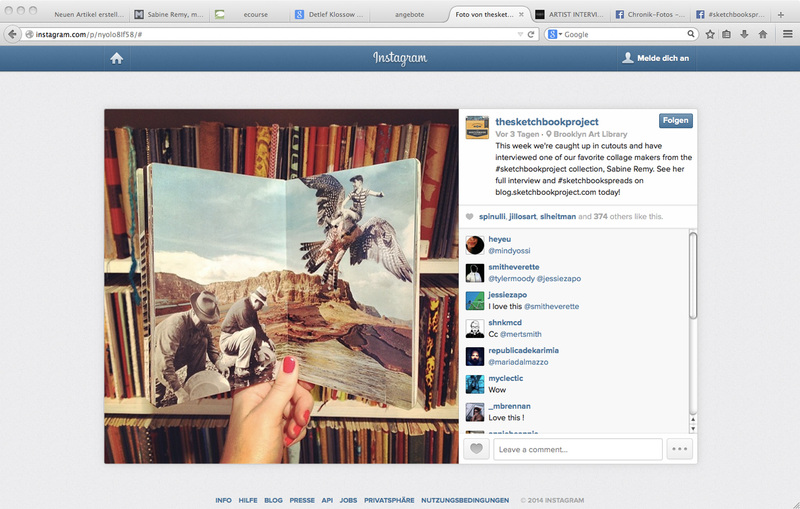 My Sketchbook for the Sketchbook Project 2013 has already been cataloged into the Brooklyn Art Library in New York! It can be found on the shelves with the call number of 199.10-9. Die Dinge verdichten sich – bald habe ich alle Collagen aus meinem Sketchbook gezeigt! Danach gibt es ein Grand Opening von ……………….